Arte Fiera celebrates 40 years with 58,000 visitors, 10% more than in 2015. 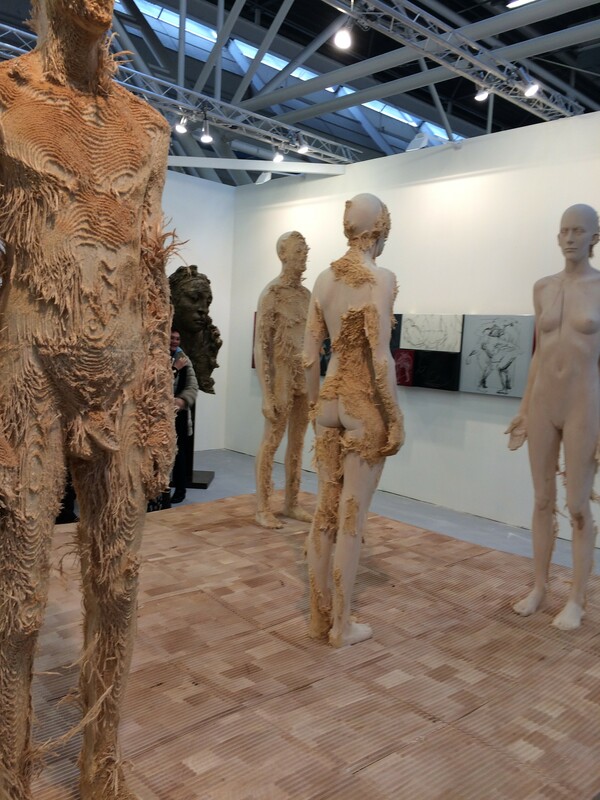 Arte Fiera 2016 included 222 exhibitors (190 galleries, 16% from outside Italy) more than 2000 works by over 1000 artists attracting collectors, sector operators and art lovers from all over the world. Over 1,400 accredited journalists, 200,000 on the official Facebook page, 170,000 interactions on Twitter, 20,000 uses of the hashtag #artefiera, peak listening figures for the 36 hours plus of live broadcasts on RAI and Radio RAI from the stage of Arte Fiera. This year more than ever Arte Fiera has underlined its role as a meeting place for those currents and movements that have underwritten the international success of Italian Sales in recent years. 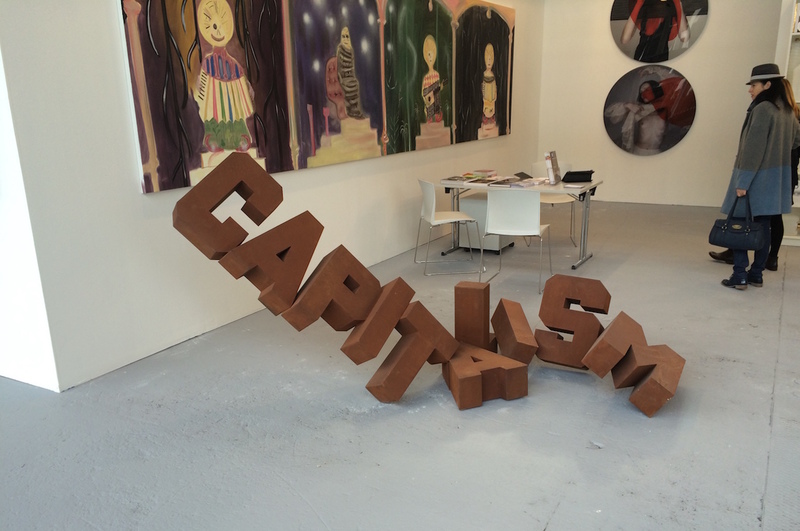 The numbers highlight how Arte Fiera offered visitors an ideal pathway between the artistic currents and movements that have written the history of international art: from Futurism to Metaphysics, passing through Kinetic Art, Pittura Analitica, Conceptual Art and finally Arte Povera and Transavantguard. The Main section enabled the public to admire not only the works of the Italian great masters such as Giacomo Balla, Giorgio de Chirico and Giorgio Morandi, Lucio Fontana, Alberto Burri,Emilio Vedova,Enrico Castellani, Piero Manzoni, Enrico Castellani, Turi Simeti, Michelangelo Pistoletto, Alighiero Boetti and Mario Schifano plus numerous international icons such as Pablo Picasso, Fernando Botero, Yves Klein, Joseph Kosuth, Joan Mirò and Hans Hartung, in addition to the protagonists of the current scene like Gina Pane, Daniel Buren, Manolo Valdés, Rebecca Horne, Ai Weiwei, Nick Cave and Jaume Plensa. Also present at Arte Fiera were a large number of world famous institutions, such as the Rembrandt Foundation (Den Haag, Netherlands); the Venice Guggenheim; the Pinacoteca Agnelli, Torino; Club Italia; Museo Maxxi, Roma; Fondazione Ratti, Milan; Mathaf Museum (Doha Qatar); Deloitte Collection, Milan; Carige Private Bank; Banca Intesa San Paolo; Unicredit Wealth Management; the Consulate for Business and Culture of the German Embassy; the Commonwealth of the Bahamas. Such participation demonstrates the event’s wide appeal and importance not only to private individuals and galleries. Art and culture spread out in Bologna with the fourth edition of Art City, a programme of events and exhibitions organised, with the collaboration between Bologna City and Arte Fiera, for cultural initiatives and the promotion of museums and places of art in the city. There will be important exhibitions this year with special initiatives organized by the leading contemporary art galleries in Bologna. With 200 events and hundreds of thousands visitor Art City and Art White Night Bologna, Bologna confirmed its credentials as the capital of modern and contemporary art in Italy during the period of Arte Fiera. Good results also for ARTEFIERA 40, exhibition on show until March 28, curated by Giorgio Verzotti and Claudio Spadoni, which traces the history of the Fair since its foundation. The exhibition starts from the Pinacoteca Nazionale in Bologna, where a selection of masterpieces are exhibited from the event, galleries, to be completed in the spaces of the Permanent Collection MAMbo – Museo d’Arte Moderna in Bologna, where there is a selection of works acquired by BolognaFiere, from the masters of the seventies up to leaders of the younger generation. Among the events in recent days, of particular note was the italian preview of the masterpiece by Mathew Barney, River of Fundament. The special event organized by BolognaFiere in collaboration with Teatro Comunale di Bologna was the national premiere of the work and it captivated a public of 800 spectators for over 60 hours, tickets for the event sold out in just two days. A great success that shows Arte Fiera’s ability to innovate itself year after year maintain excellent quality and a wide range of services and events. Happy Birthday ArteFiera!